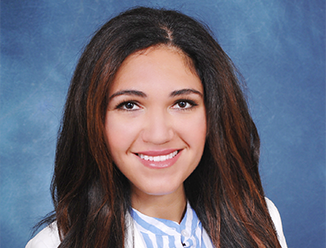 Zoha Memari serves as a Client Services Coordinator for the CBRE Capital Markets San Francisco office, assisting the team with national marketing efforts. Since joining the team in October 2016, Miss Memari has performed database organization, detailed market research, as well as digital and print outreach. Before joining CBRE Capital Markets, she worked as a Marketing & Client Relations Manager, as well as a licensed realtor, on a team at Keller Williams Realty in San Francisco and Fremont. Aside from being a sales agent, Miss Memari managed listings, marketing efforts, social media channels, client relations, the team website and team operations. Miss Memari has broad and extensive knowledge of marketing and social media platforms, as well as valuable experience in real estate and client relations management. Prior to working in real estate and the marketing realm, Miss Memari worked as a program administrator in the solar energy industry, in the construction industry and has experience in structural engineering.